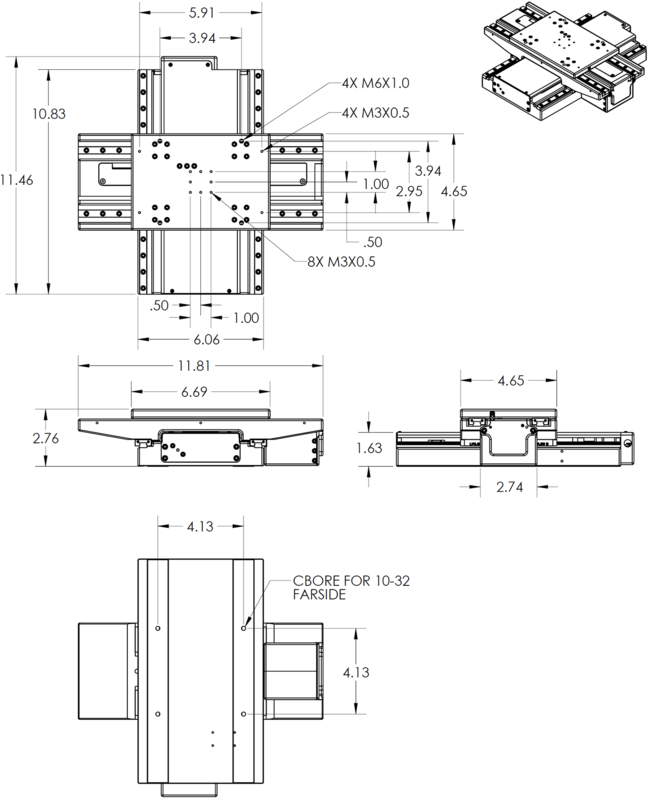 Precision Low Profile XY Stage | LP150 | Reliant Systems, Inc. 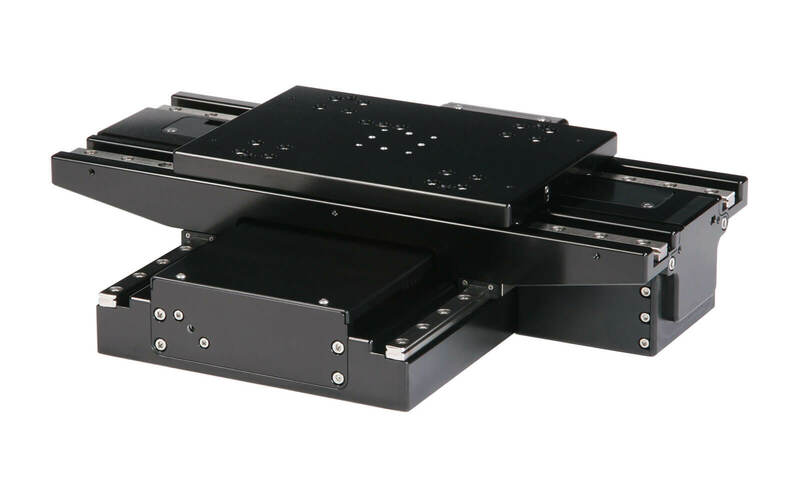 The LP150 is a low profile XY stage with 155mm x 155mm travel in a compact 300mm x 290mm x 70mm (12” x 11.5” x 2.75”) envelope, making it a perfect motion platform for use in desktop inspection and metrology instruments. While compact, performance is strong. Horizontal and vertical straightness of travel is guaranteed to be better than 2μm/25mm, and a hysteresis-free linear encoder gives the LP150 a bidirectional repeatability of ±0.5μm. For lower overall cost and ease of integration, the LP150 has stepper motors with integral controllers and drivers. An internal, high-flex, long life cable loop brings power and communication to the upper axis. Serial communication with a computer is configured as a multi-drop RS422/485 system. A single connection is all that is required for closed loop, XY positioning.